Tipsters: All square again for Spurs! 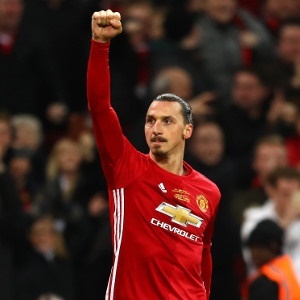 Manchester - Jose Mourinho said on Friday that he expects Swedish striker Zlatan Ibrahimovic to be ready to return to action from his career-threatening knee ligament injury before the end of the year. The Manchester United manager has stubbornly refused to put a timeline on the absences of long-term injury victims Ibrahimovic and Paul Pogba, who suffered a hamstring tear in mid-September. He has said he does not even know when the pair will be back although while Pogba remains in Florida for rehabilitation, veteran Ibrahimovic is now back with United's medical staff in Manchester and has posted social media pictures of his recovery. That has led Mourinho to predict a return for the cult hero striker some time in December after what will be eight months out with knee ligament injury that was sustained in April and required surgery. "Paul is not here. I don't know when he comes back, when he's available, I've no idea," said Mourinho. "Zlatan is here, he's working here, under our control, he's working so, so, so, so hard but he's not to be back in the next week or couple of weeks. Let him take his time and be back when everyone feels is the right moment. "Do I think he will be back in 2017? Yes I do. But it is just a feeling." Mourinho's position on injuries has been at the centre of attention this week after he insisted that he does not "cry" over absent players while accusing rival managers of doing precisely that. That was interpreted as a thinly veiled criticism of rival Antonio Conte, at his former club Chelsea, and provoked an angry response from the Italian. By the end of the week, however, Mourinho was more conciliatory in explaining his position at his weekly press conference at United's training ground. "Everybody knows every manager wants to have all the players available, it's just then a question of the way you position yourself in relation to that, the best way you think is to do it," he said. "The way we try to do it is always to speak about opportunities for others," he added. "Doesn't mean I don't miss the players. I would like them to be here for us." This season Mourinho has also been without defender Marcos Rojo, while midfielders Marouane Fellaini and Michael Carrick are currently out injured. But Mourinho refused to reveal whether the fitness problems will prompt him Into dramatic action in the January transfer window. "Yes, is true I wanted four players in the summer and I think clearly everybody knows the position, maybe you know the player, didn't happen but we adapt to it and try the best we can," he said. "But what I expect from a normal season is Zlatan will be back and Marcos will be back, and Pogba and Fellaini will be back and someone will get injured," he added. "I don't want to speak about signings yet, or the market or January. We are in October, we have November, December and half of October to play, so why should I speak about the market?"